The Oregon Child Support System Project is a multi-year effort. The federal government provides two-thirds of the funding for the planning, design, build, and implementation phases, as well as oversight and regulation of the Child Support Program’s project. Oregon’s executive and legislative branches demonstrated commitment to this long effort by investing funds and thousands of hours of state staff time in the planning phase over the last few years. Feasibility Study – The federally required feasibility study objectively and exhaustively evaluated the current system and the range of alternatives. Business Process Re-engineering Study – This study was an important preparatory step for the design and implementation of a new system. A formal report of the findings will be used for recommendations throughout the design and build phases of this project. 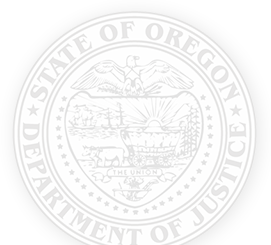 Implementation Advance Planning Document (IAPD) – The IAPD is a federally required document outlining the Oregon Child Support Program’s plan for implementation. The IAPD was approved by the federal Office of Child Support Enforcement in December 2013. The feasibility study determined the best approach for Oregon’s new system was a hybrid (rather than a repair or a build from scratch). 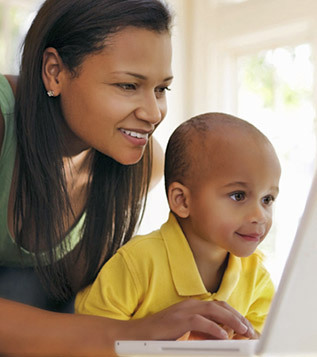 The existing mainframe system would be replaced with a user-friendly web-interface system, taking the best functionality of three of the newest federally certified state child support systems with proven positive outcomes. An implementation contractor with industry experience and expertise will work with the Oregon Child Support Program to design the new system using, as a starting point, components from the California, Michigan, and New Jersey child support systems. The implementation contractor will work with the Oregon Child Support Program to build the system, using components from the California, Michigan, and New Jersey systems, to meet Oregon’s requirements. System developers and Oregon Child Support Program staff will conduct a series of tests during various phases of system development to confirm that the new system properly performs the functions it was designed and built to perform. Oregon Child Support Program staff will be thoroughly trained on the new system before the system goes live. The system will be rolled out over a twelve-month period. Roll-out is expected to start with a pilot and then proceed by geographic region. The federal Administration for Children and Families (ACF) will certify that the Program’s new system meets all federal requirements. ACF will permit the new system to be up and running before the federal certification process is completed. After implementation of the new system, areas of the system that require additional work will be identified and scheduled for completion.